Excludes cable. Uses 1 super bright LED. The lamp is extremely bright even at low speeds. Automatic electronic standlight which stays lit for 4 minutes. NO batteries required. Anticorrosive and unbreakable. (May need adapting to fit certain racks) Lens 120 x 50mm. I have used this model of lamp on my commuter bike for six years and it is thoroughly reliable. It seems to fit on most carriers. Have used the same rear light on an existing bike for some years with no problems, connected to a dynamo hub front wheel. Wanted to fit another unit to my new bike. Again, excellent service from SJS Cycles. Thank you. I paired this light with a SJS part #15244, works superbly but neither of the lights came with wires with connectors to fit the front light. 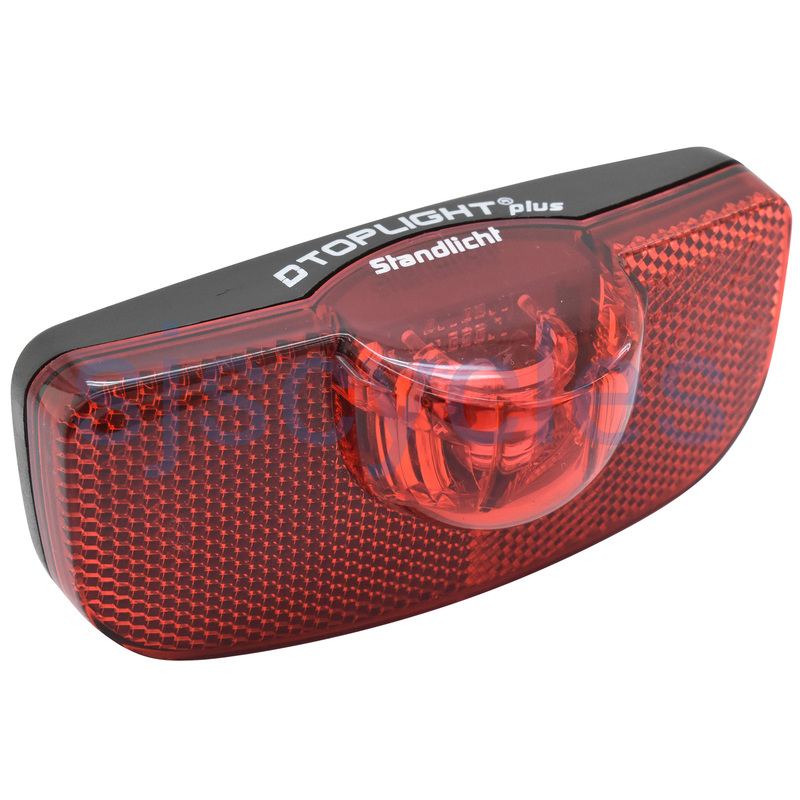 The rear light has an option to connect wires with a screw which works well. Only tool you will need is a philips head screw driver. Screw holes are closed, but they will pop out simply with the tip of the screw driver. One LED light. Can this light use a separate battery pack? Would it be possible to power this light by external battery? I know that one version uses both dynamo and internal batteries. As the rear light is powered through the front light on a dynamo set up what would the input voltage be? This light can only be used with Dynamos. Most batteries give out DC current, whereas B&M rear dynamo lights require an AC input. Will This Light Fit A Brompton Rear Rack? When used with the 50mm bolt spacing option this light will fit fine onto a Brompton rear rack. This doesn't include a cable. How do I connect it to my dynamo? what cable do I need? You can't attach this directly to your dynamo, rear lights have to be piggy backed off of front lights. There are two cable that can be used to connect a front light to the rear, a basic cheap cable is SJSC part number 25542, a much better cable with overvoltage protection is Schmidt's which is SJSC part number 15905.